We, the Palestinian Ministry of Detainees and Ex-Detainees Affairs and the undersigned human rights organizations, wish to bring to your attention the on-going mass hunger strike involving approximately 125 Palestinian detainees and prisoners and request your urgent intervention on their behalf. The majority of the hunger strikers are protesting the continued administrative detention, which is detention without trial or charge. Administrative detention orders are issued by the Israeli Military Commander in the West Bank for periods of one to six months and can be renewed indefinitely. Administrative detainees or their lawyers are not informed of the reasons for their detention and are only informed that there is ‘secret evidence’ against them. While administrative detention is legal under the Fourth Geneva Convention it must be used on an individual case by case basis without discrimination of any kind. However Israel has used administrative detention on a systematic basis against tens of thousands of Palestinians and is an ever present threat in the daily lives of all Palestinians. Instead of being used on an individual case by case basis it is used as punishment against the Palestinian people, as well a means of disrupting the political process given the continuous targeting of Palestinian Legislative Council members. 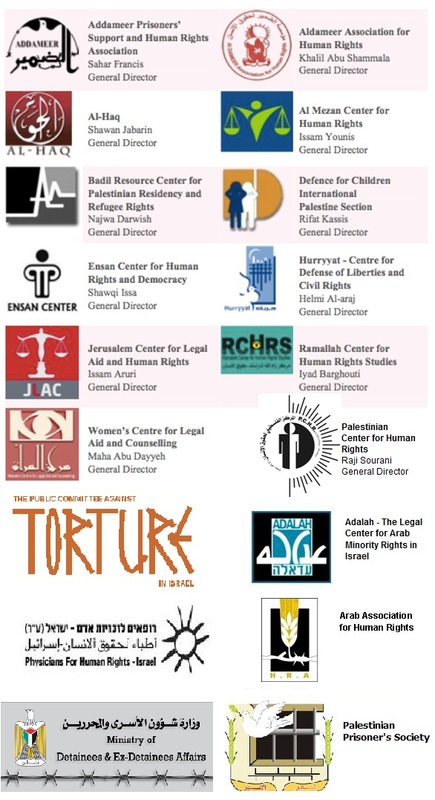 We firmly believe that Israel’s use of administrative detention should cease immediately. As you are aware Palestinian political prisoners have undertaken a number of hunger strikes since 2011, both on an individual and mass basis. The current strike was launched on 24 April when approximately 90 detainees began refusing food in protest of their continued administrative detention. The strike has since escalated as more detainees and prisoners have joined and the numbers continue to rise. As of 1 June the majority of the hunger strikers have gone without food for 38 days. We have reached a critical stage and unless there is immediate intervention there will be dire consequences for the health of all those on strike. Many of the hunger strikers have recently stopped taking vitamins and are now consuming only water, which drastically increases the risk of death. Following the launch of the strike the Israeli authorities immediately began taking punitive measures against the hunger strikers. These included the immediate isolation of all hunger strikers away from the rest of the prison population. 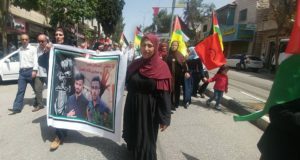 Many of hunger strikers have also been transferred to different prisons, while the leaders of the hunger strike have also been placed in isolation. All hunger strikers have been denied salt for the first fifteen days of their strike. The Israeli Prison Service (IPS) and Israeli Special Forces have also been conducting violent raids on the prisoner’s cells and intrusive searches the prisoners on a daily basis. In many cases the hunger strikers have been beaten and injured during these raids and were subsequently denied medical treatment. Family visits were also immediately banned for a period of four months, with the leaders of the strike being banned visits for six months. The Israeli authorities are also attempting to limit access to the hunger strikers by restricting lawyer visits, making it extremely difficult to get a clear picture of what is actually happening inside the prisons. The hunger strikers have also boycotted the prison clinic as they accuse the prison physicians of conspiring with the IPS to beak the strike, in violation of the World Medical Association’s Malta Declaration on Hunger Strikers. It is worth noting that many of these same tactics have been used by the Israeli authorities in an attempt to break previous strikes. We would also like to inform you that there are currently six members of the Palestinian Legislative Council on hunger strike, all of whom are being held under administrative detention. Another issue to major concern is the possibility that the force-feeding of prisoners will be legalized by the Israeli Knesset. The proposal for such force-feeding has recently been approved and, if voted into legislation, would have serious consequences for all those currently on hunger strike and those who wish to undertake hunger strikes in the future. According to the World Medical Association Declaration of Malta on Hunger Strikers, “Forcible feeding is never ethically acceptable”. As you are aware the mass hunger strike of 2012 ended on 14 May 2012 after an agreement was reached between representatives of the prisoners and the IPS. At this time it was agreed that Israel would limit the use of administrative to only ‘exceptional circumstances’, as is required under international law. However, it is quite clear that Israel has reneged on the agreement as it has continued to use administrative detention on a systematic basis which has compelled the prisoners to launch a fresh strike. Other elements of the May 2012 agreement which Israel has failed to honor are improvements in prison conditions; ending isolation as a policy; the reintroduction of education which was taking away in 2007; and the resumption of have family visits for Gaza prisoners. However, although visits for Gaza prisoners have resumed they are only taking place every two months as opposed to every two weeks for prisoners from the West Bank and Palestinian citizens of Israel. Finally we would like to highlight the important role that Palestinian political prisoners can play as actors and agents for political change, as was shown in the 2006 National Conciliation Document of the Prisoners, which formed the basis for the recent reconciliation deal between Fatah and Hamas. While Israel has continually attempted to sideline the prisoners for its own political and strategic purposes we feel that the prisoners must and can play a central role in bringing about a genuine and lasting peace. 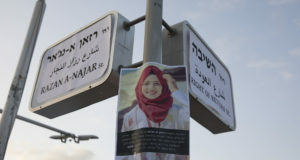 Publicly voice concern for the hunger strikers and inform the Israeli authorities that hunger strikers are a legitimate form of protest which should not be met with punitive measures. Publicly voice concern over Israel’s continued systematic use of administrative detention. Pressure Israel to honor its 14 May 2012 agreement by improving prison conditions; ending the use of isolation as a policy; reintroduce access education for all prisoners; resume of bi-weekly visits for Gaza prisoners; and end the use of administrative detention; all of which are in accordance with internationally accepted norms regarding the rights of prisoners.